This week we’ve got two fantastic free patterns for you – both from MillaMia. The Camilla cardigan and socks are both perfect for beginner or improver knitters and showcase MillaMia’s signature colourful designs. The cardigan pattern can be adapted to fit ages 3 – 8 years of age and the socks for ages 3 – 6 years. Both patterns use MillaMia’s Naturally Soft Merino wool – you can follow the colour schemes that their designers have set out or make up your own combinations from the 23 different shades available. We really love Teal (182), Berry (163), and Grass (141), as pictured below! 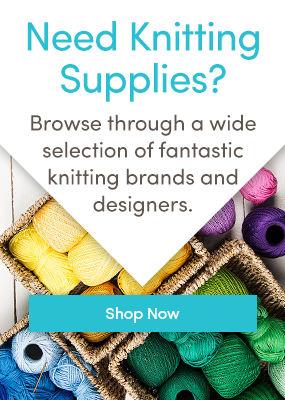 Camilla cardigan and socks – free patterns! This cardigan and these socks, knitted up with MillaMia Naturally Soft Merino 4-ply yarn are cozy and soft – perfect for any child! Knit Pro Symphonie single point needles are perfect for this project and are incredibly versatile, allowing comfortable knitting for any yarn. Serena Serena loves sunshine, strawberries and Great Danes. She has gone from non-knitter to yarn obsessive in under two years, and is determined to drag the rest of the world along with her. Last updated: December 2nd, 2014. Thanks so much – at last, a MillaMia pattern that goes upto age 8. Upto 10 or 12 would be even better!